Home » Masteron Enanthate 2000 Atlas Labs. What is Masteron Enanthate 2000 Atlas Labs.? Masteron Enanthate is a steroid which is anabolic and androgenic. Its structure is based on a compound, Drostanolone Propionate, which is now discontinued. It's an older anabolic steroid which was invented during the late 1950s, by a company called Syntex and it's been marketed under a variety of brand names, including Metormon, Materil and Drolban. Today, we'd like to share lots of important information about what this anabolic steroid is and how it works. We want to give you the inside scoop on Masteron Enanthate, so that you'll be able to make a wise and informed decision about whether or not it should be a part of your pre-competition regimen. During the 70s and 80s, this anabolic steroid was utilized successfully for treatment of breast cancer of the inoperable type. However, although it was initially effective as a treatment for this form of cancer, it disappeared from American and European markets by the early 1990s. These days, it's not available, except in underground laboratories. It's approved by the Food and Drug Administration under the name, Drostanolone. It's not approved for bodybuilders. It's an underground steroid for those who lift weights. Experts recommend using this substance as a component in a stack of steroids. Creating a steroid stack which includes Masteron Enanthate will allow a bodybuilder to access the advantages of SHBG binding. The typical dosage for this steroid is four hundred to five hundred milligrams per week. Some users who have a lot of experience with Masteron Enanthate will take higher dosages, such as one thousand milligrams per week. This steroid is right for people who already have fairly low levels of body fat and wish to make their muscles harder. This is why it's a fine choice for finishing up cutting cycles before competitions or photo shoots. Most people consider this steroid to be cosmetic in terms of its benefits. Basically, people should already be very fit before they use it. If you have body fat levels of ten to thirteen percent, this steroid probably isn't right for you. However, you may want to consider using it if you're looking for a quick and easy way to boost your free testosterone levels and decrease water weight. It is generally well-tolerated and doesn't trigger negative side effects. What Are the Effects of This Steroids? In the 70s and 80s, Masteron Enanthate was popular among professional bodybuilders. It was often a facet of their pre-competition training plans. As well, it was commonly used by bodybuilders of the recreational type as they went into the cutting phases of their training programs. This steroid allows bodybuilders to get a ripped and chiseled look which defines their muscles and spotlights all of their hard work in the gym. It works the same today as it did when pro bodybuilders began to use it. Do It Trigger Side Effects? Like all steroids, Masteron Enanthate may trigger side effects, especially when it's administered in higher doses. Examples of side effects include water retention, blood pressure spikes due to edema, bloating, pimples and gynecomastia. The steroid has anti-estrogenic properties and helps to alleviate side effects that occur due to usage of other types of anabolic steroids which aromatize. Most people who use this "underground" steroid inject it at least three times per week. They typically utilize an "every other day" schedule in order to access optimal results. Since a lot of injections are required and demand for this substance is relatively high, a lot of underground labs produce the Drostanolone hormone, which has the ester known as Enanthate attached to it. 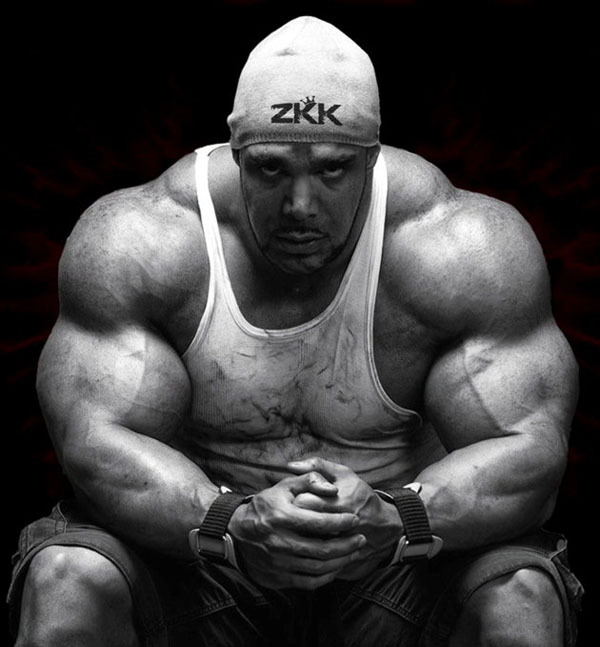 Most bodybuilders inject three to four hundred milligrams of this steroid weekly. Six hundred milligrams is considered to be a maximum dosage. It's possible to get results with a dosage of three hundred milligrams. However, you shouldn't ever go below two hundred milligrams, as you likely won't get any benefits from using Masteron Enanthate if you do. It's generally utilized during the last six to eight weeks of a cutting cycle, before a competition or a photo shoot. For a cutting cycle of twelve weeks, consider stacking Masteron Enanthate with Testosterone Enanthate. For example, during weeks one to twelve, inject three to five hundred milligrams of the steroid with four hundred milligrams of Drostanolone Enanthate. This popular stacking regimen is very popular with beginners and it's effective. It should be tolerated well. However, if you do run into problems, such as side effects which aren't manageable, we recommend discontinuing usage. Now that you know more about this steroid, which is sold by many underground labs ("legal" Masteron Enanthate may also be available on and offline), you'll be one step closer to deciding whether or not it's really right for you. The weekly dose is in the range 300mg-500mg and must be repeated every 3 or 4 days to maintain a consistent level of hormone inte the blood.